This dual-channel system offers near 360-degree coverage. Cobra’s packaging barely hints that this dual-channel system's name is the CDR895D Drive HD. But look for the box with the two cameras (front 1080p/160 degrees, rear 720p/130 degrees) behind the plastic window, and you’ll know you’ve got the right one. And this probably is the right product for many users, thanks to its relatively low price and front/rear coverage. 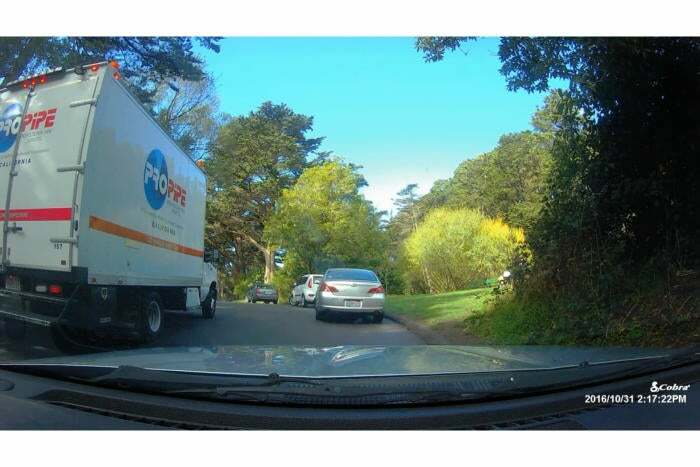 But you should check out all the top picks in our constantly updated dash cam roundup. 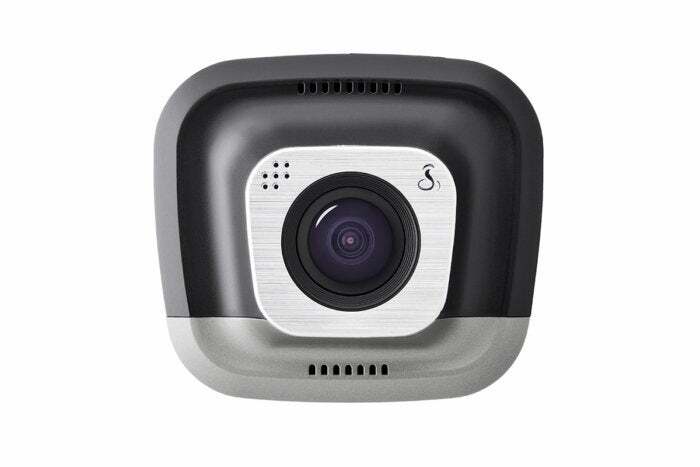 The lightweight front camera mounts using a smallish suction cup, while the rear camera uses a semi-permanent adhesive mount. The whole deal is connected via a y-cable with inline couplers. Figuring out where to run the wires will be the hardest part of the installation (hint: under the carpet). The CDR895D’s controls and interface are easy and obvious. Four unmarked buttons below the small 2-inch display vary contextually in their functions, which are nicely explained by on-screen icons. The interface is easy to learn, as well as easy to use. Our only caveat is to keep the mounting adjustment hardware tight, and press the function/control buttons with a minimum of force. A light touch is all that's required and a heavy hand will disturb the unit's orientation. Cobra’s CDR895D delivers good daytime video from both the front (shown) and rear cameras. The CDR895D’s night video on the other hand is merely average. 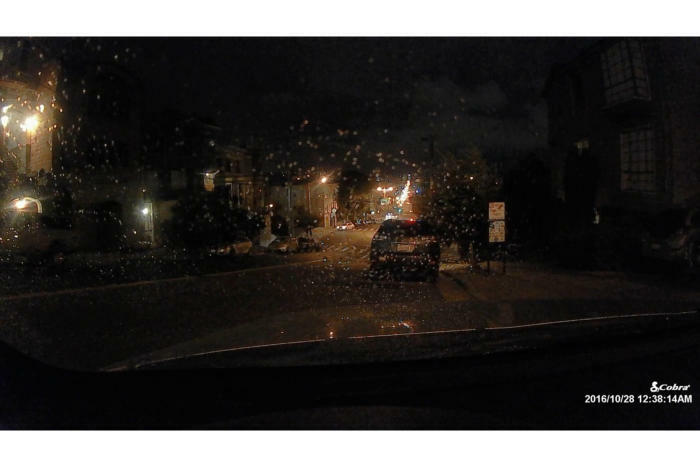 Video from the CDR895D’s 1080p/160-degree front camera is quite good, though it lacks HDR. Video from the 130 degree/720p rear camera is merely good. Night video was on a par with the Thinkware F770’s, which is to say as good, but suffers in comparison to more recent cameras. Headlight flare was minimal, and details prominent. The CDR895D Drive HD is by far the cheapest dual-camera system we’re aware of, even when you add $50 for the optional GPS mount (the Viofo A119’s is only $10). If you're not looking for HDR or great night video, it's a deal. Note: This article was edited on 6/2/2018 to reflect more recent experiences and the rising quality of video captures in industry since the original review.